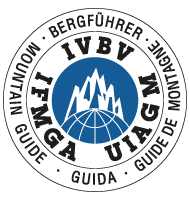 Ski Touring - with British Mountain Guides, UIAGM IFMGA Mountain Guides.  British Mountain Guides run a full programme of ski touring throughout the winter in all the major alpine areas, and many guides run expeditions too. 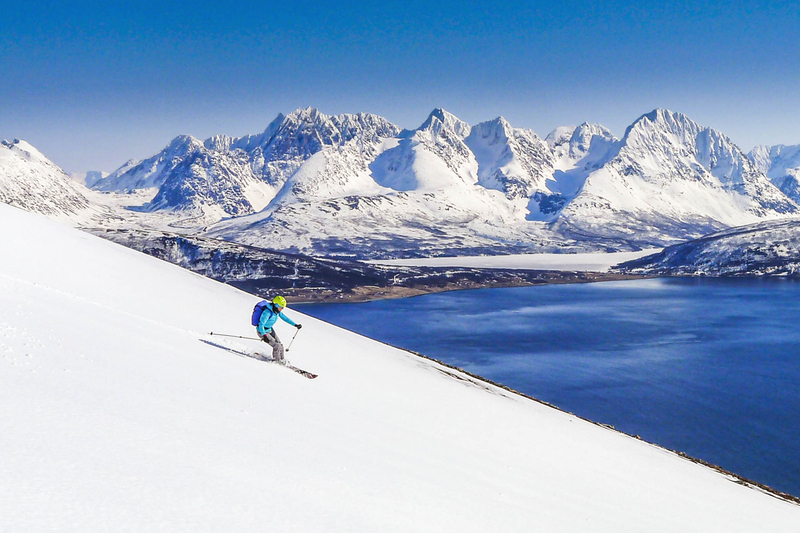 Ski touring with a British Mountain Guide is a whole new way to enjoy the mountains on skis. Using bindings with a releasable heel and skins attached to our skis, you can ski in terrain which would otherwise only be accessible by helicopter. Naturally there’s effort required, but the rewards are stunning – the pleasure of moving steadily uphill, the satisfaction of the arrival at a summit and, above all, making fresh tracks in a wild mountain environment. As with all mountain activities, there’s a progression in ski touring, starting on short “side country” tours with only half an hour of skinning, before moving on up to multi-day hut-to-hut tours such as the famous High Level Route from Chamonix to Zermatt. Outside the Alps, you can travel further afield with a British Mountain Guide to venues such as Northern Norway, Kashmir in India or Kamchatka in Russia. If you’re looking for a gentle introduction to ski touring, many guides run “ski safaris”, using a combination of ski lifts, helicopters, taxis and skinning to complete a journey through the mountains, also known as “touring without tears”! At the other end of the scale, ski mountaineering combines ski touring with alpinism to access some of the wildest skiing on the planet. Experience the freedom of skiing the entire mountain. From the classic Haute route to the most esoteric tours you can imagine, let BMG show you how it's done. Click into your bindings with a British Mountain guide and never look back.